The hive inside the Kitsap County elections office is indeed buzzing. More than 100,000 ballots have already been turned in en route to what officials expect to be a record breaking turnout on election night. 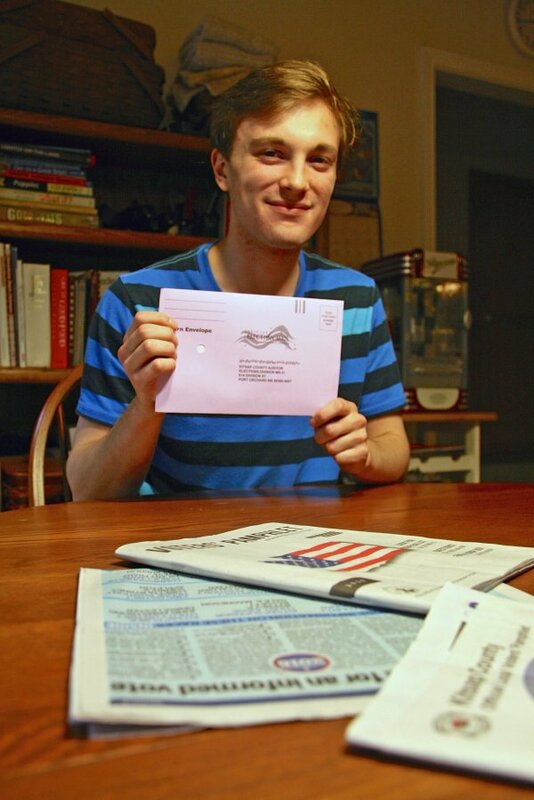 The man who is one of two people who are voting on their 18th birthday today. Efforts to open Kitsap County’s only year-round homeless shelter. The city’s decision to pay more to get a guardrail on Tracyton Boulevard. And finally, the new tenants inside the old motorcycle shop in Manette. Don’t forget to watch the Kitsap Sun’s election coverage live tonight on the Sun’s Facebook page, starting at 8:30 p.m. PST. Questions? Comments? Send me feedback at josh.farley@kitsapsun.com.